Find hotel near Asiatica Musee D'art Orie .. This museum is dedicated to the works of art and sculpture from Asiatic countries such as China, India, Nepal, Bhutan and others. The whole collection is said to be owned by a man from his travels and exhibitions. 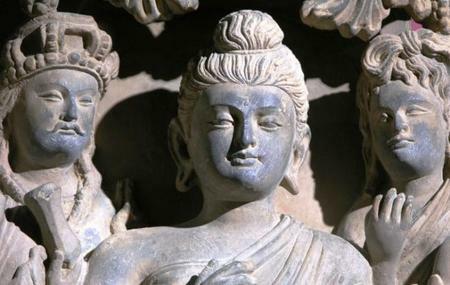 It is the 2nd largest museum of Asiatic arts in France and is a gem of a place. China: There are 2 rooms dedicated to the Chinese masterpieces. This includes works of bronze and porcelain, ivory, stone sculptures especially of Lord Buddha, two Guanyin, a Buddha Bei Wei and large wooden lintels. Tibet: This is a lovely collection of bronze and other colorful objects. The thangkas of priests are the highlights. Nepal: This section is mostly filled with beautiful wood crafts. The special ones are those from Kathmandu of Boddhisattva and the lovely Tara. The Province of India: This is a long gallery with a lovely atmosphere. Here you can see mostly murals and statues of Indian deities and other kings and characters. Guidebooks in English are available here. A cafe inside the museum is good. The staff are humble and friendly. Visit official website for more comprehensive details. How popular is Asiatica Musee D'art Oriental? People normally club together St. Martin's Church and Eglise Alexandre Nevski while planning their visit to Asiatica Musee D'art Oriental. Really nice art collection, small enough to do it throughly in 2-3h. Wide ranging collection with interesting artifacts but presentation could be better. Está bien. Interesante. Un buen lugar al que ir en caso de lluvia.